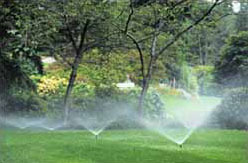 Avellino Well & Pump, Inc.
Do you have water bans and restrictions or high water bills? We have the answer. Your own water well. Avellino Well & Pump, Inc. opened in 1989 as a family owned and operated business located in Reading, Ma convenient to I-95 and 495. We are licensed in Mass, Maine, Connecticut and New Hampshire, although most of our work is concentrated in the 495 belt.